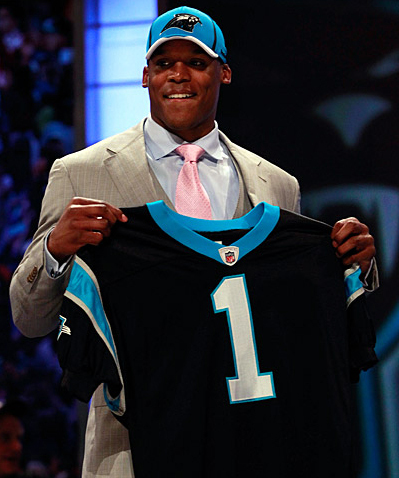 The Carolina Panthers selected Auburn quarterback Cam Newton with the No. 1 pick in the NFL draft Thursday night, gambling the Heisman Trophy winner will overcome questions about his character and work ethic to become the team's first franchise quarterback. After going 2-14 last season with the NFL's worst offense, the Panthers bypassed safer choices such as Alabama defensive tackle Marcell Dareus, LSU cornerback Patrick Peterson and Georgia receiver A.J. Green for Newton, who dazzled in his only season playing major college football.